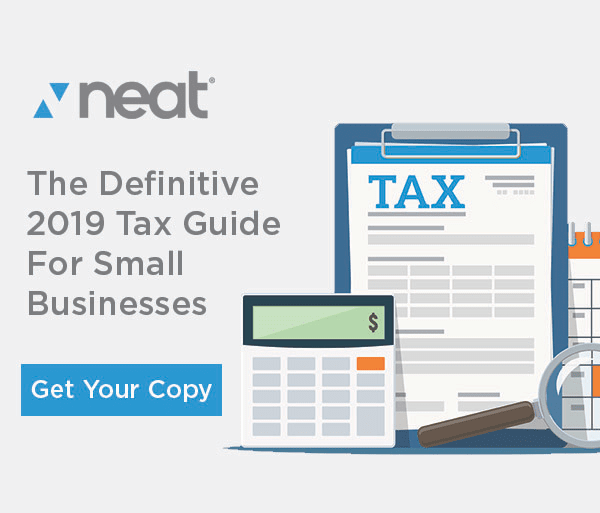 Tax time can be daunting for all small businesses and here at Neat, we know that to be true. As we move out of the summer into Q4, many small business owners are starting to think about closing out the year. It’s a good time to begin getting your small business organized so that the beginning of the new year can be spent on more important tasks such as growing your business or improving existing customer relationships. Small business tax deductions can be complex topic and knowing what they are is half the battle. New tax laws notwithstanding, with so many different deductions your business can take, it is hard to know how to maximize them so that you can save big and be a winner at tax time, every time. Not to worry though, we are here to help you (as always) with our top 3 tips on maximizing your small business deductions. One of the best things any small business owner can do for their business is to invest the profits they have earned back into the business. Putting money back into the business is a great way to maximize deductions because the bigger the deductions are, the better. New equipment, new vehicles, new uniforms, and anything else that will improve your business and leave you with much more to deduct than if you hadn’t invested. Not only will your expense deductions get bigger, but your new investments into your business will help you to increase your profits. More profits can be put into things like more contract labor, rent and utilities on new business property, and other deductions we mention here to maximize your business’ deductions even further. Once that happens, a beautiful cycle of business growth and maximizing deductions begins, making you and your business the ultimate winners. Aside from knowing what to do, planning ahead is one of the most important things you can do to maximize small business tax deductions. While most people don’t even remember deductions exist until tax time, the smart and savvy business owner thinks about deductions all year around. You see, once tax time is upon us, the year has already passed us by, and the time to maximize your deductions has come and gone. Maximizing your deductions begins January 1st of the current year, not the following year, and continues every day with each dollar that you spend. Making plans to grow your business based around the different deductions you can take is the easiest way to maximize your business’ income and therefore your deductions. With all the things on your plate, looking at the year to come may not be the first thing on your list of things to do that day. However, it is one of the best ways to start your business off on the right foot each year, and the best way to make sure your business comes out ahead at tax time. When you are spending money to fund and grow your business, it is very important that you keep track of the money that you are spending. Every dollar that you spend towards business growth counts. However, there is no way you can count it if you don’t remember spending it! Keeping receipts in a box all year and pulling them out in January will make things more difficult for you come tax time. Not only will it take so much of your time to organize and add everything up but reading the receipts after a year can be difficult as well. Neat’s methodology is to use a variety of expense capture mechanisms including mobile receipt scanning, email-in, file uploads and traditional scanners. The key point, regardless of which method(s) you use to is try to scan at the point the expense was incurred. If you have a receipt, don’t put it aside and hope to get to it at end of week…etc. Scan it, load it or snap a pic right way, then toss the paper and move on. Good expense capture software will help you to not only categorize expenses but keep the records in a way that is dependable and efficient and connects directly with an accounting app such as QuickBooks. So those are our top 3 tips for maximizing your expenses at tax time. Planning ahead, taking as many deductions as possible, and keeping track of every dollar that you spend are just some of the few ways that your business can come out ahead for tax time. 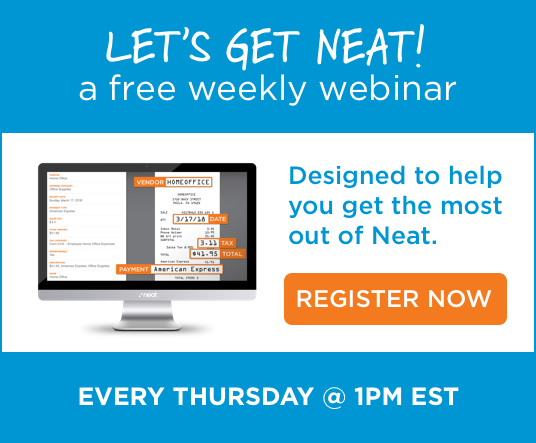 Try neat today and get a free 30-day trial of the software that is helping many small businesses like yours save time and money every single day.